Gemalto’s Digital Banking solutions for eBanking and eCommerce help banks take advantage of the digital transformation by ensuring customer trust and regulatory compliance. By offering frictionless and convenient strong authentication combined with risk management, Gemalto’s eBanking solutions protect online banking customers from external attacks and guarantee an ideal balance between a user-friendly, and secure online experience. Gemalto Digital Banking Mobile Suite delivers strong multi-factor authentication – including biometrics – with best-in-class security, while fulfilling banking requirements. It ensures appropriate security features, while also allowing banks to comply with regulations and to offer simple, innovative experiences that increase the digital touchpoints in online channels. Gemalto Digital Banking Mobile Suite is developed and maintained by Gemalto with banking-grade security vetted by internal and external audits. Backed up by an large R&D team of engineers (developers, architects, testers, and security officers) who are highly skilled in mobile security, cryptography and biometric authentication, the Gemalto Digital Banking Mobile Suite benefits from a strong product development plan. It is the guarantee of a product offering which not only remains always up to date with the latest mobile evolutions and threats, but also strives to incorporate the latest innovations to deliver banks and their users with the strongest security and a smooth user experience. 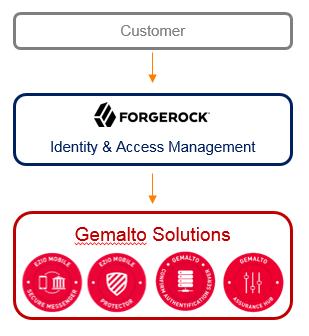 These solutions are now integrated into ForgeRock Identity Platform using the Authentication Tree from ForgeRock Access Management. OpenID Discovery URL - example: "https://gemalto.mybank.com/auth/realms/dbanking/.well-known/openid-configuration"
Client ID - entered when creating the client in Gemalto systems - example: "forgerock"
Client Secret - a randomly generated secret used during the OpenID Connect exchange: example: "2ggse304-wg34-9nwx-193j-3jud85jdwpzm"
This guide is targeting Access Management (AM) version 6.0+. It can be deployed using this set of instructions. 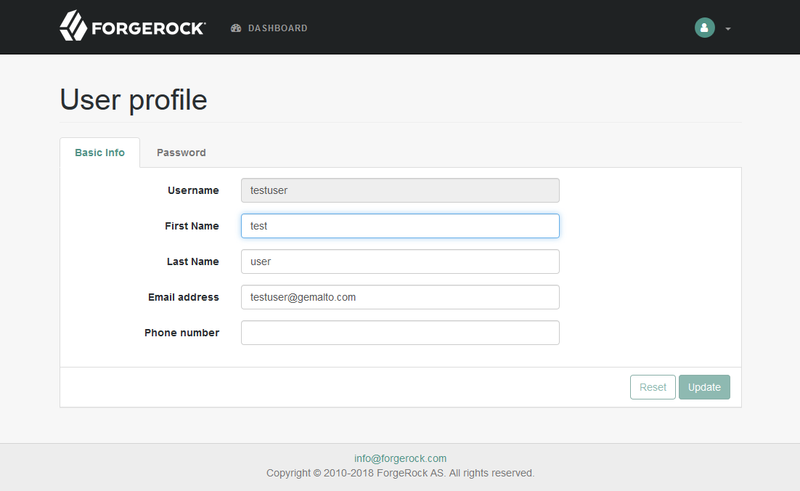 For ForgeRock 5.5+, please use our other guide that uses modules and chains technology. Access Management must be able to connect to Gemalto's solution. You can create many types of authentication tree to match your specific deployment. Below are 2 variants than can typically be used for simple setups. 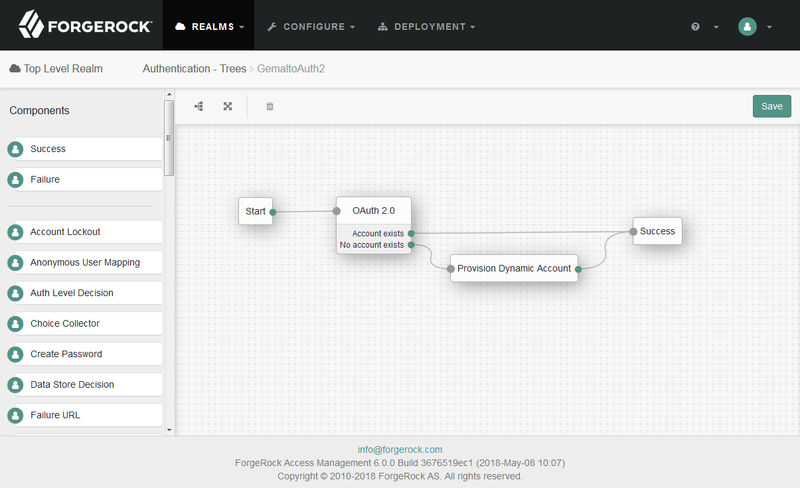 The integration of the Gemalto authentication solutions is done via the OAuth 2.0 node. For a quick demo setup, build this flow. It uses the "Provision Dynamic Account" node, that creates temporary accounts for logged in users. Those accounts are deleted once the session expires. For a more realistic deployment, we recommend to use this flow. It uses the "Provision IDM Account" node to permanently persist user accounts in an IDM. An IDM needs to be configured in Access Management. 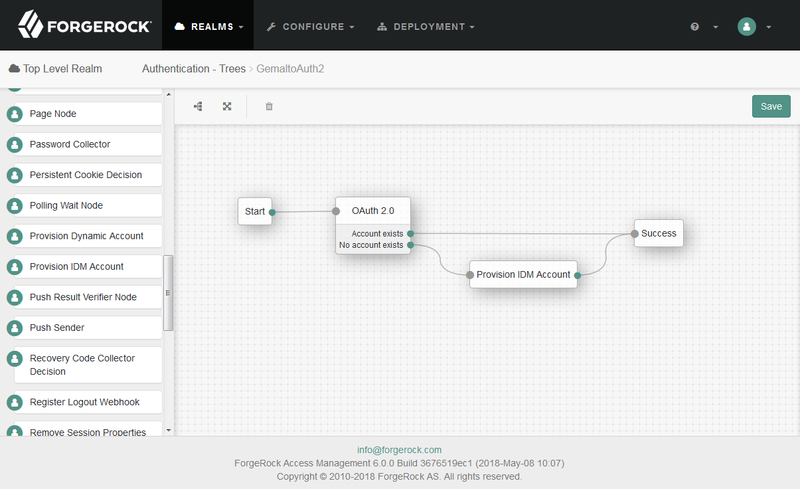 In the authentication tree, select the OAuth 2.0 node. A form tab will open on the right. The information below shows a typcial setup. Access Management provides a quick way to test your setup at this stage. Login to the Gemalto authentication solution using one of the configured authentication method. 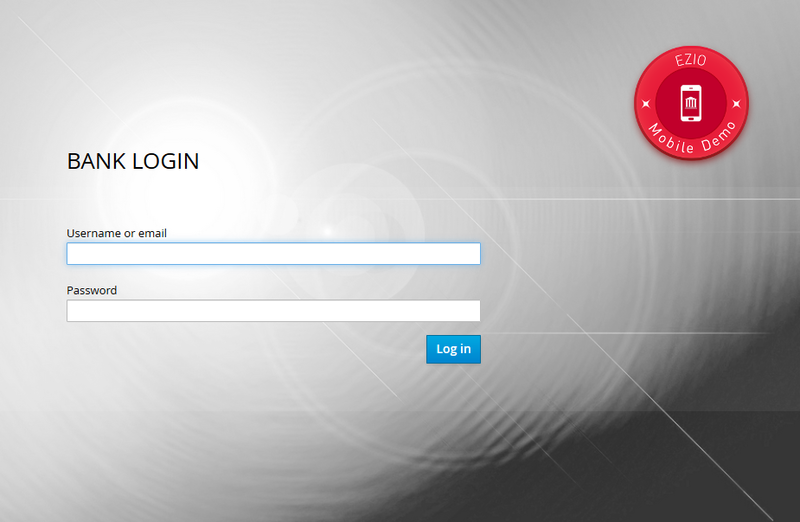 Logout of the User Portal using the top right menu. Gemalto hereby disclaims all warranties and conditions with regard to the information contained herein, including all implied warranties of merchantability, fitness for a particular purpose, title and non-infringement. In no event shall Gemalto be liable, whether in contract, tort or otherwise, for any indirect, special or consequential damages or any damages whatsoever including but not limited to damages resulting from loss of use, data, profits, revenues, or customers, arising out of or in connection with the use or performance of information contained in this document.